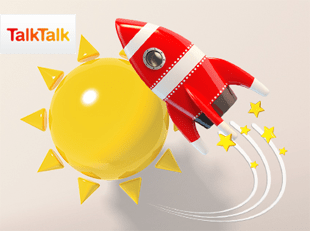 What is TalkTalk fibre broadband good for? TalkTalk is one of the cheapest fibre broadband providers in the UK. Its packages offer superfast speeds, totally unlimited usage and F-Secure internet security. Whether you need calls or TV, it is all there, so you can add or upgrade with a tariff which is so flexible and truly customer friendly. Despite these strong features, TalkTalk is more popular for its bad side – poor customer service and consumer complaints, resulting in low customer satisfaction ratings, though, the ISP scores well in many surveys for value for money and ease of installation. In this impartial review, we want to find out whether TalkTalk can be considered as a good, reliable, fibre broadband service, especially, when all the top ISPs are now lining up to offer superfast broadband with more attractive pricing & features than ever. TalkTalk offers standalone, fibre broadband packages with two fibre speeds – 36Mbps (Faster Fibre) and 63Mbps (Faster Fibre with Speed Boost). These are average speeds meaning 50% of the UK customers can get these speeds. If you want slower speeds, there is also basic level Fast Broadband plan which comes with average speed of 11Mbps speeds. All fibre packages come with totally unlimited usage, advanced, Super Router and SuperSafe internet security boost. No call plan is included, while, landline calls to TalkTalk numbers are free. With TalkTalk, call plans & features and SuperSafe come as optional boosts which you can use and cancel at anytime with one month notice. All existing TalkTalk customers and new customers can get fibre broadband which is subject to 18 months contract, in TalkTalk network areas which cover more than 80% of the UK now. TalkTalk fibre broadband availability is no longer an issue now. We compared TalkTalk fibre performance on the basis of advertised speeds vs actual speeds (Ofcom speed survey Nov 2015) – and we found that the actual download speed was pretty good, close to advertised figure, however, there is huge difference between advertised TalkTalk fibre upload speed and real world speed. If you want faster upload speeds than what Faster Fibre offers, you may need to upgrade to Fibre Large Plus or look elsewhere like BT, Sky or Plusnet. There was a time when unlimited packages used to come with hidden caps, but, now, TalkTalk and other ISPs including BT and Sky, offer totally or truly unlimited packages means those old methods used by ISPs to restrict heavy usage, no longer apply. Whether you stream HD movies or play online games for hours, you will need not pay any extra charges. Super Router is a Huawei make, advanced, dual band wireless router with 802.11ac compatibility. With 4 Gigabit connections, it is designed for TalkTalk fibre packages to connect multiple users in the home without wire, wherever they are. It comes with a USB 2.0 port and protects your devices with the best security technologies like WPS and WPA/WPA2. TalkTalk offers free, basic level online protection with all packages. HomeSafe is in fact a web filter or parental controls which helps you block sites with inappropriate content, malware etc. it also protects your devices from malicious programs to certain extent. However, SuperSafe internet security (available as boost) powered by F-Secure offers advanced level of protection from all kinds of threats from the web like viruses, malware and phishing etc. This feature limited to a certain number of devices, is included for free with fibre packages. It is one of the least expensive options available there, when you decide to go for fibre. Whether Faster Fibre or Faster Fibre with Speed Boost, all offer unlimited downloads and other great features at affordable pricing. For a small to medium sized household with 2 to 4 internet users, it is an ideal choice of superfast broadband without any need to pay hefty fee for it. If you already a TalkTalk TV or mobile customer, it is easy to sign up for fibre or upgrade to it. TalkTalk offers triple play packages, allowing you to get fibre broadband, calls and TV together. Both its Essentials TV and Plus TV bundles come with fibre too. TalkTalk fibre packages are subject to 12 month contract which is flexible to new customers. Currently, TalkTalk fibre broadband offers average speed of 63Mbps, while other providers Virgin Media and BT offer even faster speeds. TalkTalk fibre broadband upload speed is slow, when it compared to similar fibre plans from BT, Plusnet or Sky, according to Ofcom real world speed survey Nov 2015. Customer satisfaction is low, while complaints volume is high, according to the latest Ofcom report. The ISP is still struggling to improve customer service. Value added services like Cloud storage or public WiFi which are available with BT, Virgin Media or Sky are not available with TalkTalk. Just like TalkTalk Faster Fibre, this deal also comes in affordable range, indeed, it can save more. Unlimited fibre broadband from award winning Plusnet includes line rental. Plusnet fibre is reliable , comes with 24/7 UK based customer service and has better customer satisfaction ratings.. This package comes with Sky’s reliability and excellent service and offers unlimited usage and free public WiFi.